When travelling there are some things you just never forget. 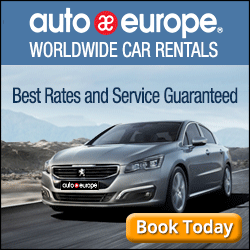 Many, many years ago, during the first trip my friend Laurie ever took with me, we travelled to the south of France and on our way to Avignon, we first checked into our hotel. 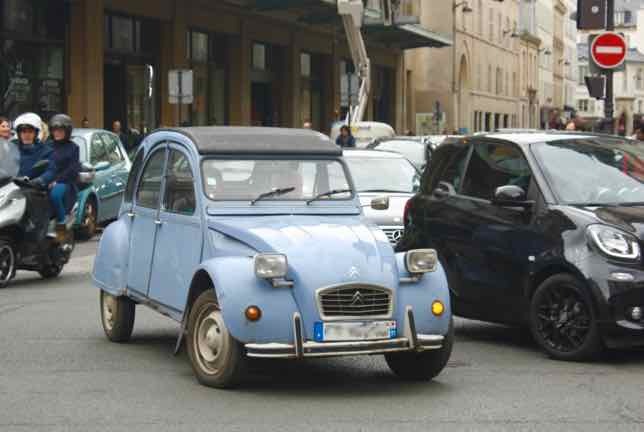 Whenever I hear or see the word, “Avignon”, unfortunately, I think of a funny thing that happened on the way….well, maybe not that funny to Laurie. 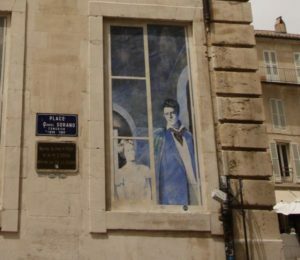 I’ll first share what happened and then share the wonderful things about the town of Avignon, the place I wish we had stayed in. 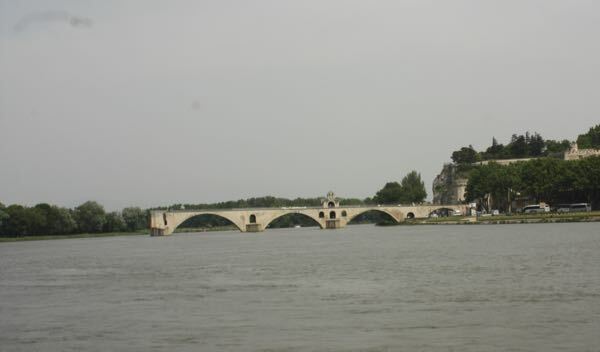 The incident that occurred to Laurie happened in the town of Villeneuve-lès-Avignon located across the Rhone River from Avignon. It was summertime and incredibly hot. We arrived after dinner and after checking in decided we needed something cold to drink so Laurie, who studied French in university, went to the front desk to ask for a couple of glasses of Coke with ice. An argument ensued and when she returned, she was fuming. I just listened. “I went downstairs to ask for ice and I said, ” … avec des glaces” and the owner/manager proceeded to correct me, rudely, by saying is was “avec de la glace” for ice and “des glaces” was a mirror. I looked up ‘des glaces’ just now and mirror didn’t come up????? Anyway, he then continued by calling me “an ignorant tourist” (in French) and a fight ensued (verbally and in French). Nor have I! That experience was one of the most memorable ever and now I am always careful to say, “avec de la glace” although I rarely ask for ice as it is rarely available! That being said, I do find the French very friendly. Maybe it’s because I speak passable French? Maybe it’s because I try? Maybe because I’m lucky? 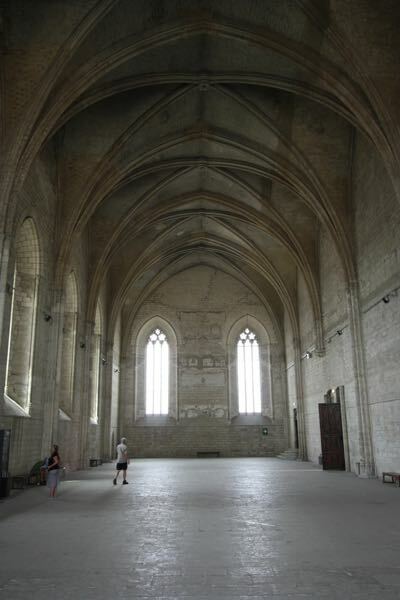 So, sadly when someone mentions the town of “Avignon”, unfortunately, I don’t immediately think of the Palais des Papes, Pont St-Bénezet , or the Festival d’Avignon music festival held annually in the town. I think of ice. 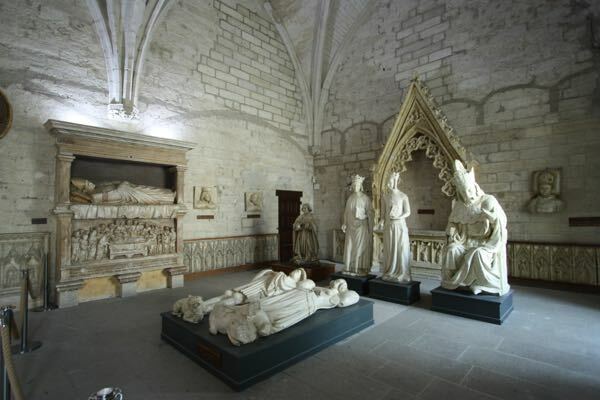 Fortunately, time heals and since that time I have gone back to Avignon to help me erase that awful evening. 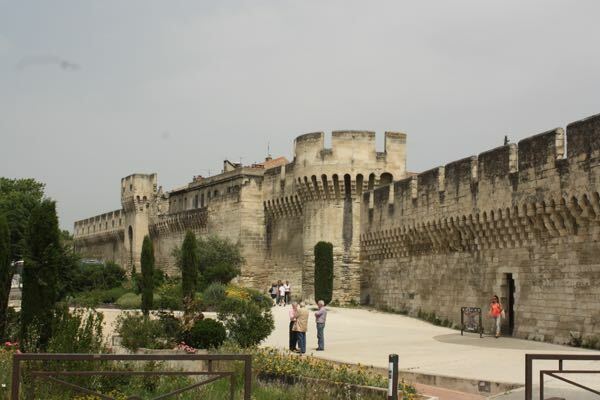 The historic section of Avignon is surrounded by medieval ramparts and this section contains the Palais des Papes. 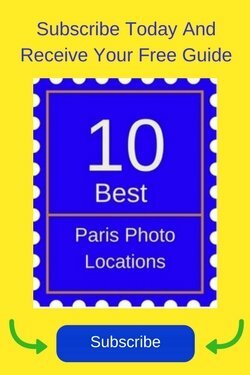 This is one place you SHOULD definitely visit. Designated a World Heritage site by UNESCO, the Palais des Papes (The “Popes’ Palace”) was built in the early 1300s and is the largest gothic palace ever built. It was a fortress, palace and residence for nine popes from the mid-1300s to the mid-1400s and was the seat of Western Christianity in the 1400s. Salle de la grande Audience (Grand Audience Hall) where hearings were held. Plaster effigies of prominent figures during the time of papal rule. 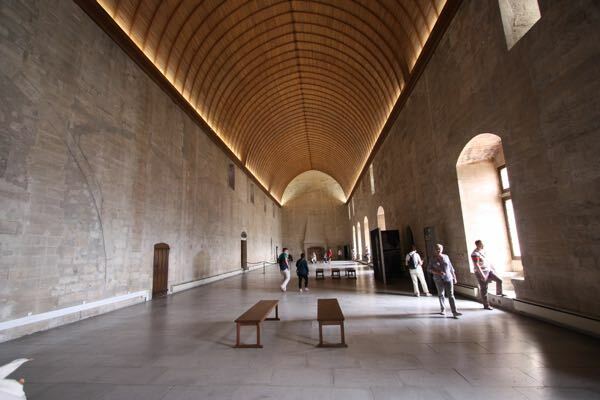 The Great Tinel room used primarily for banquets and receptions and also used by cardinals to elect a new pope. 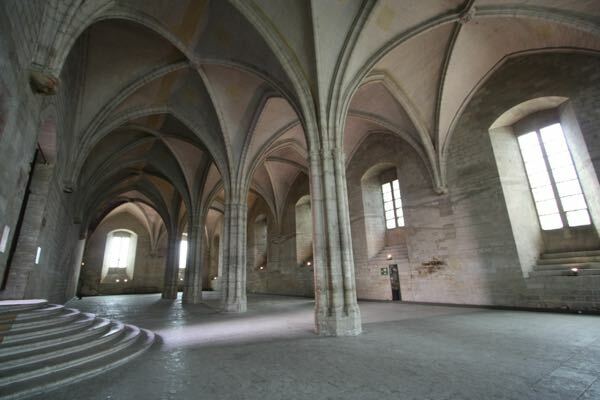 Today the Palais des Papes is one of the top 10 tourist attractions in France. 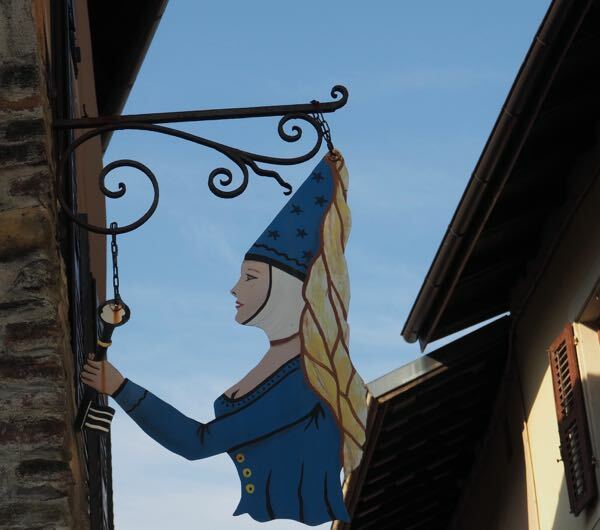 Is there a town you’ll never forget due to an unseemly incident? 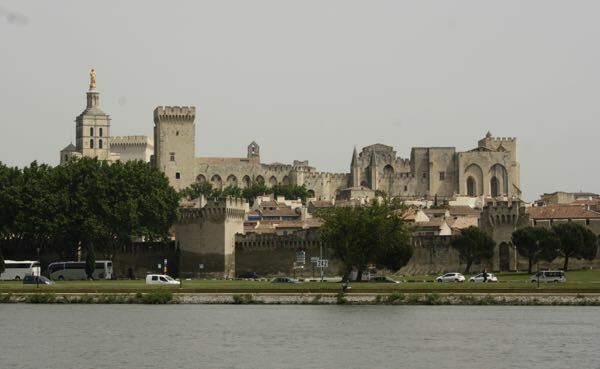 Avignon looks fantastic. Never been but from your post I’d say it should be on our list. I’m glad you haven’t encountered any rude French. I love them! 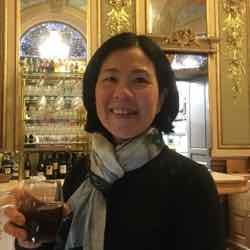 I know people say to try and converse in the language to show that you are making an effort, but like your friend in Avignon I am sure, I would get it so wrong, that I get by with my multilingual hands rather than make a fool of myself. Good on your friend for having a go though. We all use our hands to “communicate”. Isn’t that how all travellers communicate!?!?! This is the second time Avignon has come up today. I’m starting to think I need to visit. I had no idea it has a UNESCO site and that a nine Popes lived there. Thanks for the education and the French language tips. You’re welcome. Yes, I think you need to go there! 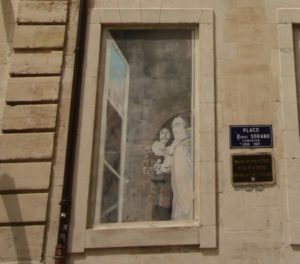 Something I’ll never forget that happened to me in Auvignon–we were lucky to be there by chance for Festival d’Avignon–was ordering a sausage provencal for dinner in one of those lovely outdoor restaurant pavilions. I swear it was still moving and stunk so bad. I wound up eating some of my companion’s meal and just left the sausage to ponder. Who knew you could order so wrong? That is SO gross….and I’m sure memorable! 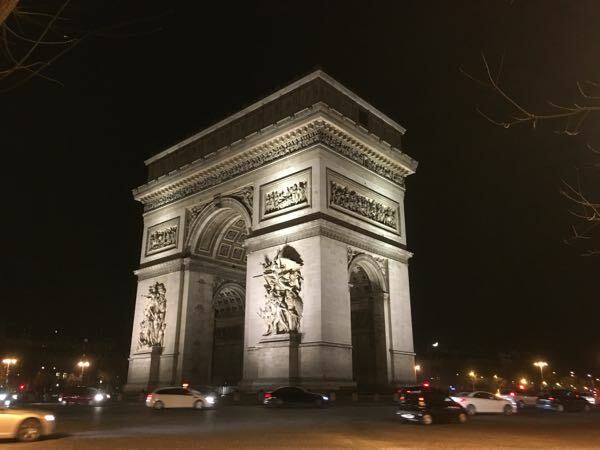 Wow that is a story – I have an Avignon story – My daughter and I were visiting the South of France and we were on our way to St Remy. 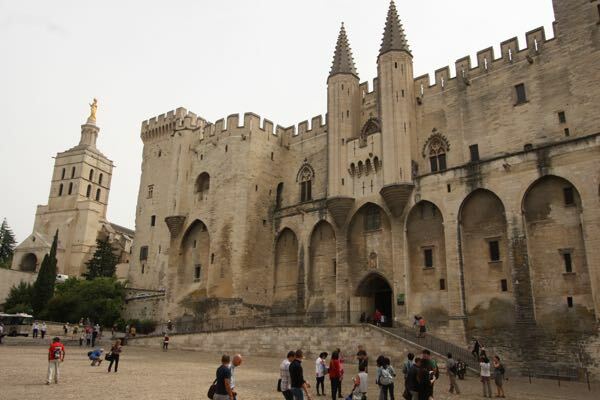 While in St Remy we went to Avignon to visit the Palais des Papes. I was driving a rental car with a stick shift, something I hadn’t done in 25 years… we had to leave the parking structure and the ramp seemed nearly vertical! I was totally panicked not to roll back in to the car behind us. My daughter helped me by using the e-brake and I maneuvered with the clutch and accelerator. I don’t think of ice, I think of rolling backward into a car! It’s amazing how certain places bring back memories…good and bad. What a scary story! Glad to hear you daughter was able to help you out! Yes, I’ll never forget “ice” again!